Custom Metal Tags is being offered to our customers and are manufactured as per the approved industry norms. We are offering Custom Tags to our client. We are amid the most noteworthy names engaged in offering to our clienteles an extensive collection of Customized Tags. We have highly acknowledged organisation engaged in presenting a remarkable range of Custom Printed Tag. Fully customizable Invoices, Tags, Sticker Sheets etc. are all printed from the software directly. Tags are printed directly from the software with barcoding, item image, logo etc. either on compatible barcode printers or on sticker sheets using ordinary printers. 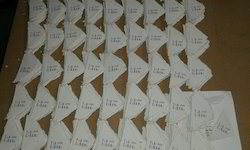 We manufacture a complete line of Tags. Moreover, our range is widely used in the textile industry, hosiery market and pharmaceutical industry. 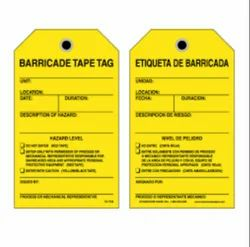 Acknowledged in the industry as one the illustrious firms, we are betrothed in offering a commendable quality of Custom Printed Tags.